May the be always with us! The details are amazing and the stones are so beautiful too! Is the light colored stone an aquaterra jaspis? Gorgeous dragons with gorgeous stones! 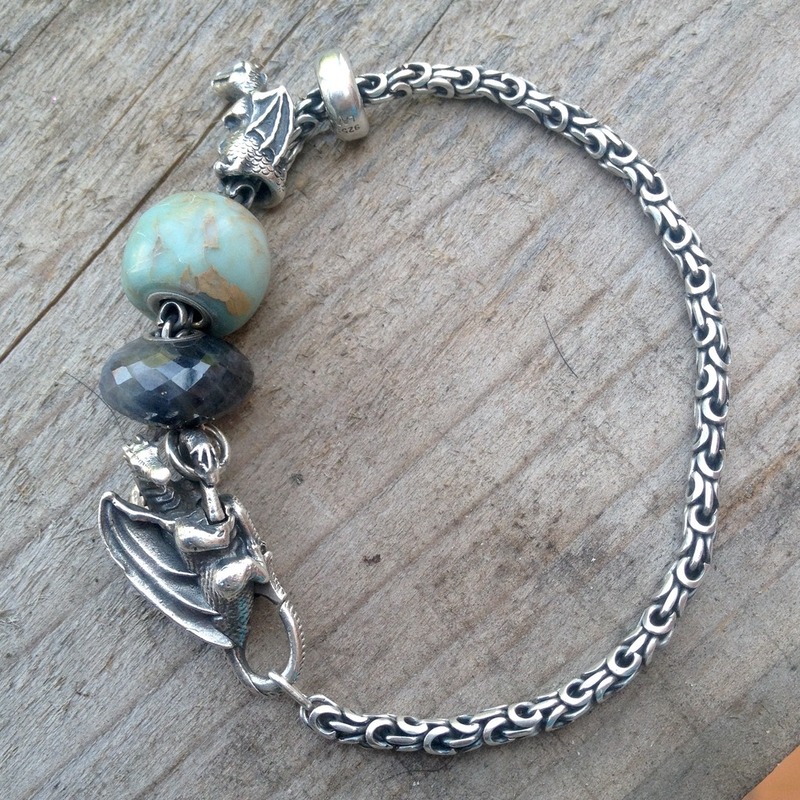 Gorgeous combo, I love the light blue stone... the way you wear the beads shows the beautiful faerybeads bracelet as well. 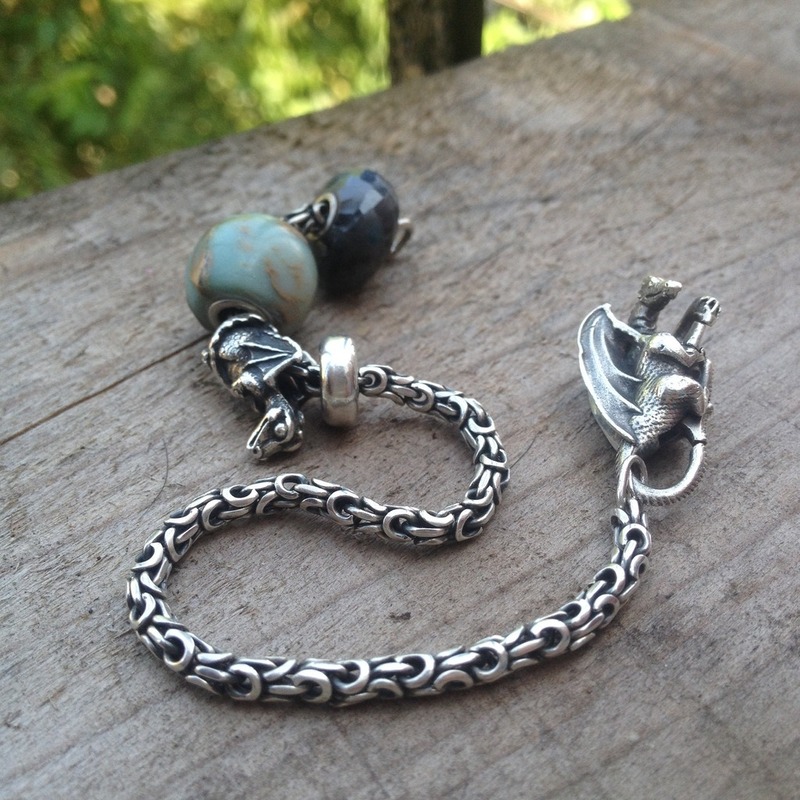 There's nothing better than the awesome faerybeads dragons. Oh, yes - that is perfect! Thank you!!! It is an aguaterra japis from Liana... Just a fabulous second hand bead that nobody noticed how beautiful it was! I am totally in love with it!